Nicole Fish, Certified Ayurvedic Practitioner and Licensed Massage Therapist, began her interest in health began shortly after the home birth of her son, in 1993. This transition inspired her to attend Christopher Hobbs & Michael Tierra’s American School of Herbalism, first and second year. The school’s focus was on Western and Eastern herbs and Traditional Chinese Medicine theory. During those same years she trained with her midwife, Cindy Bacon, LM, CPM, who ran the Sage-Femme Midwifery School of Home Birth. The summer before she moved to Mendocino, Nicole had the privilege to train with pediatric acupuncturist Raven Lang, OMD, LAc, where she had the opportunity to witnessed gain a deeper understanding of Traditional Chinese Medicine in practice. During her time at the American School of Herbalism she was interested in Ayurveda, but there were no programs available near her home on the Mendocino Coast where Nicole moved with her husband and young family. In 1998, her second child (also, home birth) called all of her attention to house-holding. In 2004, she attended Pacific School of Massage, in Gualala, and became a certified massage therapist. She immediately put her skills to work at Elk Cove Inn and Spa where she worked as a spa therapist for four years, then took two years off to homeschool her daughter through junior high. In the years spanning 2000-2014 Nicole also trained in the Classical Indian Dance form of Bhrata Natayam of the Balasaraswati dance lineage with her teachers Bonnie Novokov and Aggie Breneman. The practice of Bharata Natayam gave her great insight into the beauty and grace of this devotional form of Indian dance. It also gave great insights into body alignment in regards to yoga and the mind and emotions. In 2008 Nicole travelled to India and trained with Devadasi, Shymala Mohanraj, and 2012, produced an instructional DVD of Bharta Natayam. Upon returning to work in 2011, she opened her own massage office and trained with Diamond Way Ayurveda and learned the art of Shirodahra. 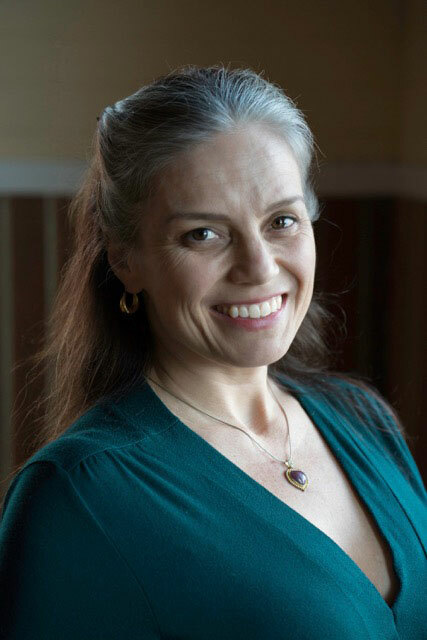 In spring of 2014 she began her Ayurveda training with New World Ayurveda with Dr. Paul Dugliss, MD, and in the summer of 2015 she completed a 200 hour yoga training with Justine Lemos, Ph.D and Western College of Yoga. In June of 2016, Nicole graduated from New World Ayurveda as an Ayurvedic practitioner, and chose to continue her studies with an advanced mentor program offered by Dr. Dugliss. In the last year of Ayurveda training, Nicole pursued the study of Jyotish, which is Vedic astrology. She took an additional Jyotish course with Sam Geppi in 2015 and is presently studying with Komilla Sutton. She has lived in Elk, California for over 20 years with her family.